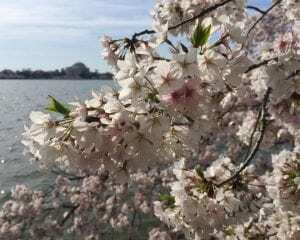 Did everyone enjoy that touch of spring? Of course winter couldn’t give up its stronghold that easily, and made an unwelcome return on Sunday. The long range forecast does look positive, however, and even though there are still a few more days where the highs will be in the upper 40s, that’s better than the 30s, and there are no more evil little snowflakes visible in the graphics. I can’t personally complain too much about the return to winter, because I’ve been out of town for the past few days and when my daughter, Katie, who has been dog-sitting, told me how cold it had turned on Sunday I responded by sending her a photo of myself in a tank top. Of course my penalty for being so smug was getting caught in an unbelievable rainstorm – the kind that appears purple on the weather app and comes with a tornado warning – as the approaching front started to cross through western Virginia. We had headed south on Thursday afternoon (right after the YWCA’s “In the Company of Women” luncheon, which featured a very entertaining forum with Gloria Steinem), and spent the night in our former hometown of Falls Church, VA, enjoyed a great dinner with my husband’s former college roommate at one of our favorite old haunts (where we ran into some of our West Hartford neighbors! ), checked out the cherry blossoms on Friday morning (and ran into our former babysitter whom we hadn’t seen since she was a teenager 20 years ago); and then headed to Durham, NC, where I attended my Duke University Class of [year intentionally omitted] college reunion! 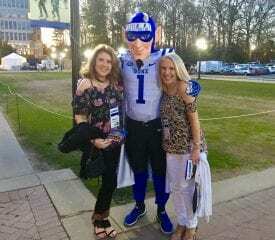 My former college roommate Marjorie Strauss Flink (left) and I posed with the Blue Devil in Krzyzewskiville outside Cameron Indoor Stadium at Duke University. Ted and I stayed at the beautiful Durham home of my college roommate, Marjorie, and her husband, Chuck. 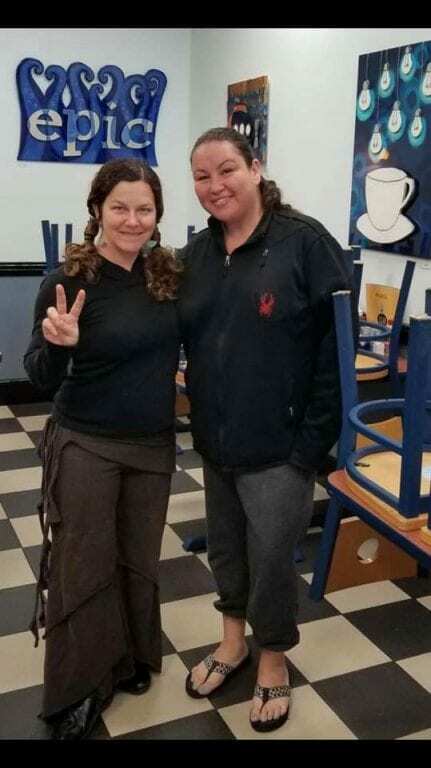 Although I only see her every few years – which is not nearly often enough – it feels like we never skip a beat and can still talk for hours on end. There were several hundred of my classmates and their guests at the reunion, some of whom I hadn’t seen since graduation, others I see at every reunion, and others I haven’t seen but feel like I still know well thanks to Facebook. I could write about the reunion for many more paragraphs (but then I would get all sorts of complaining emails and people might stop reading this column), but I’ll just say what happens in Durham stays in Durham, and rest assured that even people who may have ended up as successful doctors, lawyers, and business executives can still dance to “Shout” (and get low, and gator). The weather was gorgeous, Duke’s gardens were spectacular, and we capped off the weekend with a visit to our nephew at Elon University and then a stop to see our niece and her boyfriend in Danville, VA. I’m writing this from Harrisonburg, VA, where we decided to spend the night to escape the rainstorm, but by the time you read this, I’ll be almost back in West Hartford. The large space in the rear of 121 Talcott Rd. 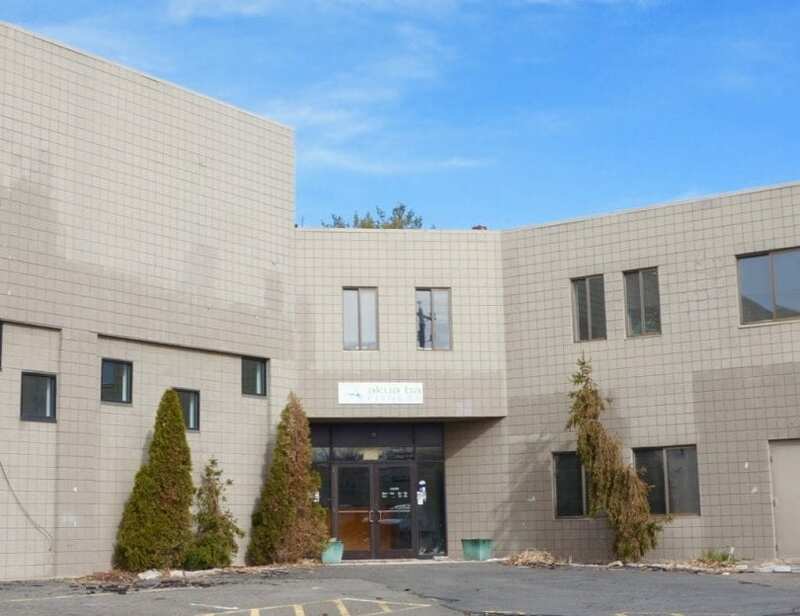 has been vacant since fitness facility Akua Ba closed its doors last year, and the building was sold in June 2017 to a company by the name of 121 Talcott LLC – that’s owned by Dan O’Brien of Uberdog and his wife, Isabella. O’Brien has now confirmed that Uberdog Playcare & Hotel, which is celebrating its 10th anniversary, will be moving from 635 New Park Ave. to that space! 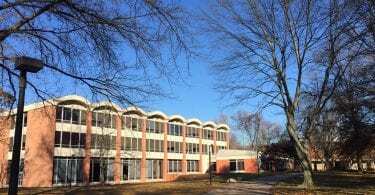 There will be a groundbreaking later this month, and O’Brien said that he hopes to have the new and improved fully-equipped space – which will include additional outdoor access and expanded observation areas – open by the end of the summer. “Our goal is to expand upon the services we can offer our clients and continue to grow our roots in the community. 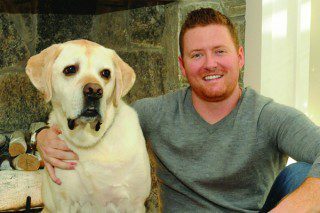 We hope to offer additional services such as grooming, training and provide an even more comfortable boarding experience for our dogs; especially those with special needs,” O’Brien said in an announcement. There will be a client appreciation open house held soon as a 10th anniversary and clients will be introduced to the new facility. For more information, visit www.myuberdog.com or call 860-236-8237. 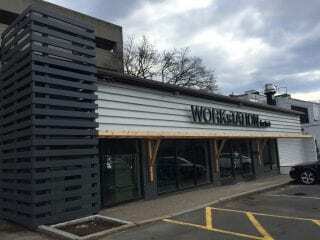 Workstation WeHa, which is located in the Farmington Avenue parking lot (977R Farmington Ave.), is just weeks away from opening, managing partner Jen LaChapelle advised. “Within the next two weeks or so,” she said. Workstation WeHa will be a co-working space for hair stylists, who will have ultimate flexibility, and will be able to rent space for a few hours (four is the minimum), a day, a week, a month, a year, or even longer. They can choose to be in the community area, or a more private single or double suite space. For more information, visit Workstation WeHa’s Facebook page. 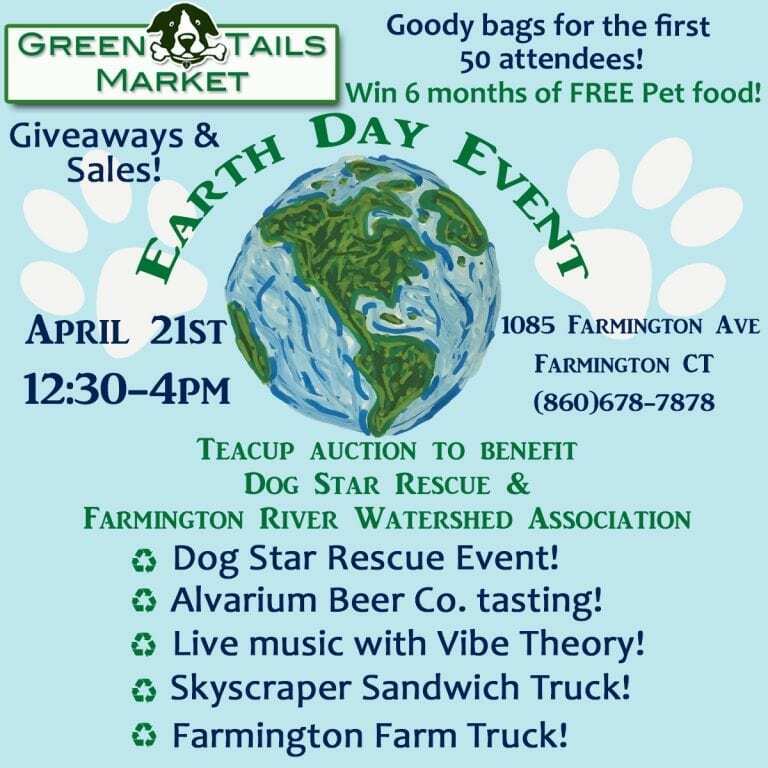 Green Tails Market, which is just over the town line in Farmington (1085 Farmington Ave.) but owned by West Hartford residents Ann and Paul Fryer, will be holding a special Earth Day celebration for people and their pets on Saturday, April 21 from 12:30 to 4 p.m., rain or shine. “The first 50 attendees will be getting one heck of a swag bag with too many cool things to list!” Ann Fryer said in an email: “The afternoon will feature beer tasting with Alvarium Beer Company, live music from Vibe Theory, delicious people-eats from Skyscraper Sandwich Truck, and Farmington Farm Truck will be offering up local produce and goods.” The event will also serve as a fundraiser for Dog Star Rescue and Farmington River Watershed Association, she said. There will be a teacup auction with some amazing prices, and also a chance to meet some adoptable dogs from Dog Star Rescue. Vendors including Love the Dog, Petcurean Pet Food, Canine Caviar Pet Food, and NutriSource Pet Foods will also be on hand. 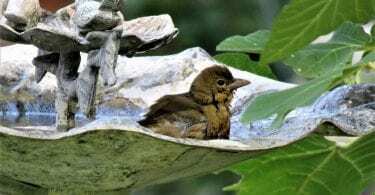 Farmington River Watershed Association will share information on how to keep the river and surrounding land clean. Blue Earth Compost, Inc. will share everything they know about practical composting. For more information please call 860-678-7878. 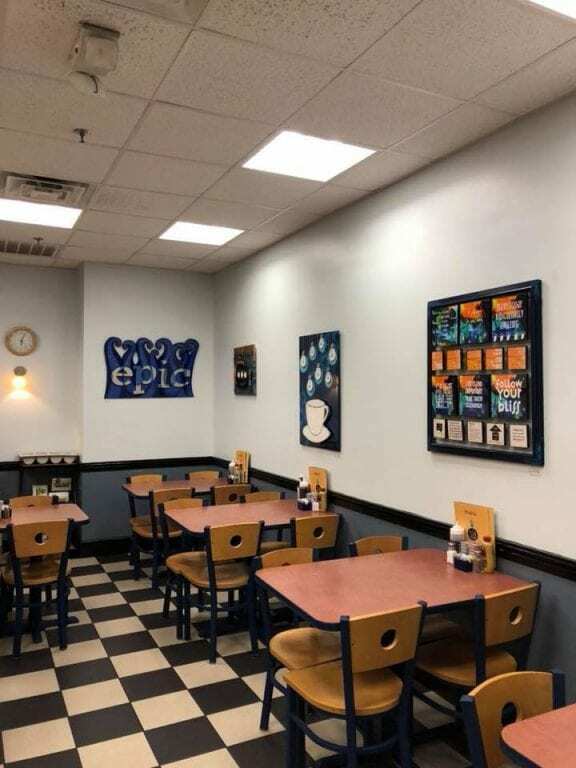 Sally and Bob’s Eatery, now owned and managed by West Hartford residents Helen Brower and Cesar Contreras, will be showcasing the work of local artists, beginning with the colorful and funky works of Stefanie Marco Lantz of Kindspin Design! 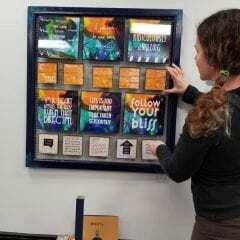 Marco said she is so excited to have her work on display at this “delicious supportive venue” for local artists, and will help line up other artists to also exhibit in the space. Sally and Bob’s is located at 10 North Main St. in West Hartford Center. A few more examples can be seen below. 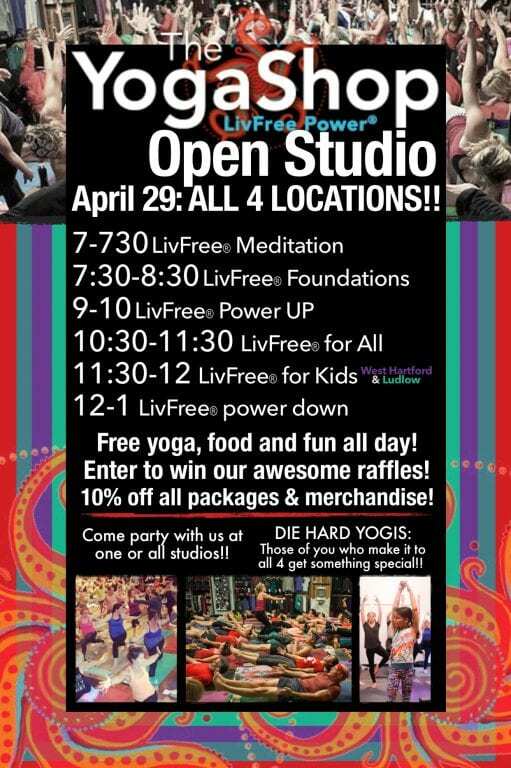 The Yoga Shop in Bishops Corner, which is also home to grace+grit, will be holding an open house all day on Sunday, April 29, offering free yoga, meditation, food, and fun. The festivities begin at 7 a.m. See the flyer below for more details! Gov. Dannel P. Malloy has made a large number of nominations to fill judicial vacancies over the past two weeks, and the most recent 14 nominations, announced on Friday, includes two West Hartford residents. Congratulations to Karyl L. Carrasquilla, currently the Chief Disciplinary Counsel for the Connecticut Judicial Branch who since 2015 she has led the Office of Chief Disciplinary Counsel in its responsibilities of negotiating and prosecuting attorney disciplinary matters for the State of Connecticut. She has a bachelor’s from Central Connecticut State University and J.D. from Western New England College School of Law, and is also one of the hosts of the WHC-TV talk show Moms Time Out! Also congratulations to Daniel J. Klau, an attorney with McElroy, Deutsch, Mulvaney and Carpenter, LLP in Hartford, where he has worked since 2010. Klau has a bachelor’s from the University of California, San Diego and a J.D. from Boston University School of Law. 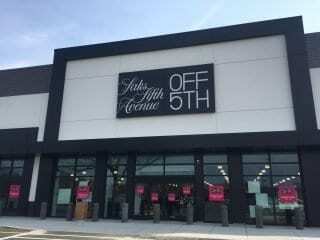 The Corbin Collection update: Saks Fifth Avenue Off 5th is putting the finishing touches on the space in preparation for opening this Thursday, April 19, at 9 a.m.! I had a sneak peek inside on Thursday, and the merchandise is already being set up and it looks great. I will definitely be on hand to report on the excitement on opening day! 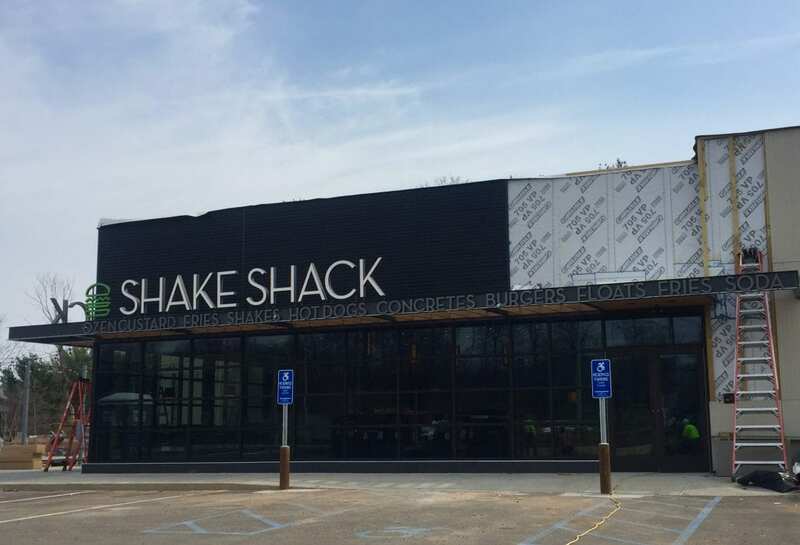 Things are moving along rapidly for Shake Shack (see photo below) and REI which will open next week! ICYMI, last Monday I had a chance to tour 616 New Park, the mixed-use transit-oriented development that is nearly complete and will welcome tenants as of May 1. Click here for the story and lots of photos of the interior of the building. DORO Restaurant Group has announced an expanded partnership with Sub Edge Farm in Farmington, which will include farm dinners, and RSA, and pop-up farmers markets at Zohara! Click here for the details. Any news on World Market opening?